For those who own Japanese toilets, there is a cultish devotion. They boast heated seats, a bidet function for a rear cleanse and an air-purifying system that deodorizes during use. Last year, Bennett Friedman, who owns a plumbing showroom in Manhattan called AF New York, took a business trip to Milan. On the morning of his return he faced a choice: stop in the bathroom there or wait until he got home. The flight was nine hours. He waited. “It feels very uncivilized,” he says. For those who own Japanese toilets, there is a cultish devotion. They boast heated seats, a bidet function for a rear cleanse and an air-purifying system that deodorizes during use. The need for toilet paper is virtually eliminated (there is an air dryer) and “you left the lid up” squabbles need never take place (the seat lifts and closes automatically in many models). Jean Z. Poh, founder of the luxury jewelry e-commerce site Swoonery.com, says a washlet is, in its own way, a luxury item. Poh first encountered a washlet while living in Asia, where they are widespread, especially in Japan, where hotels, restaurants, airports and baseball stadiums are equipped with them, in addition to millions of private homes. In the U.S., washlets remain, like the metric system, a foreign cultural curiosity that has never widely caught on. The bidet tends to cause embarrassment; the electronic push-button controls to confound. Toto, arguably the industry leader (though other companies sell them), has tried over the years to get Americans to embrace the concept. Their latest bid to toilet-train the public is the Connect+ washlet. The model offers the standard comforts, along with something Toto calls SanaGloss, a glaze that seals the porcelain and repels waste. It also has a high-efficiency flush that uses only 1 gallon of water. Around $2,400, the system is also a more entry-level version of Toto’s top-of-the-line $9,800 Neorest, which has UV light technology that kills bacteria. 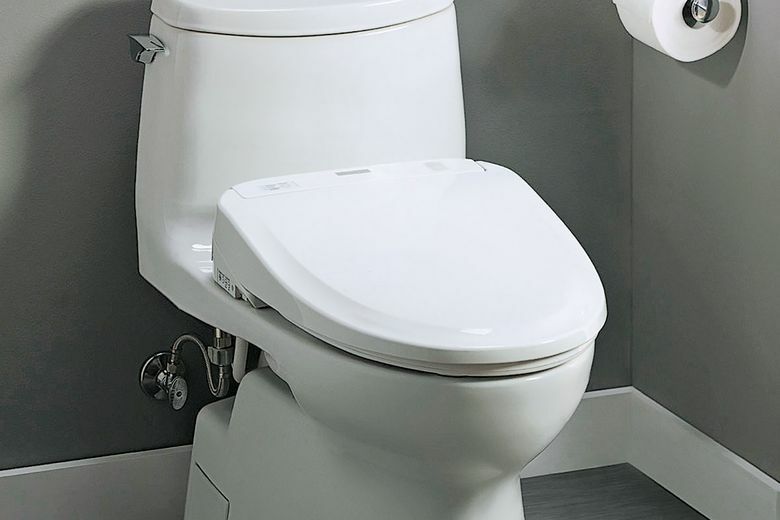 Friedman, whose showroom has sold Toto washlets for close to 25 years, is familiar with the snickering around toilet shopping, and people’s resistance to a remote-controlled wand shooting water into a sensitive area. Toto doesn’t sell its washlets in big-box stores, preferring the showroom experience instead. The company also plans to open an educational gallery in Manhattan next spring, where people can learn about the Toto technology. Most washlet owners, then, are converted after trying one out in the world — at a boutique hotel, say, or on a trip to Asia. Such was the case with Robert Aboulache. Before he and his family went on a vacation to Japan, he says, friends who had visited the country told him he would love the toilets.